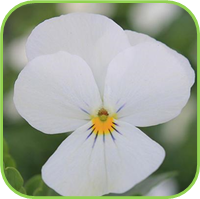 Sweet-smelling white or purple flowers in late winter and early spring. Heart shaped leaves forms a rosette from which a long stalked flower arise. 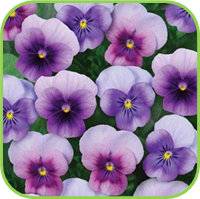 Green heart-shaped leaves with blue, pale lilac flowers in early spring. • The root is well known to be used for medicinal use. 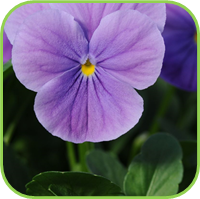 • The flower of the Sweet Violet is commonly used in por pourii, perfumes and floral water.